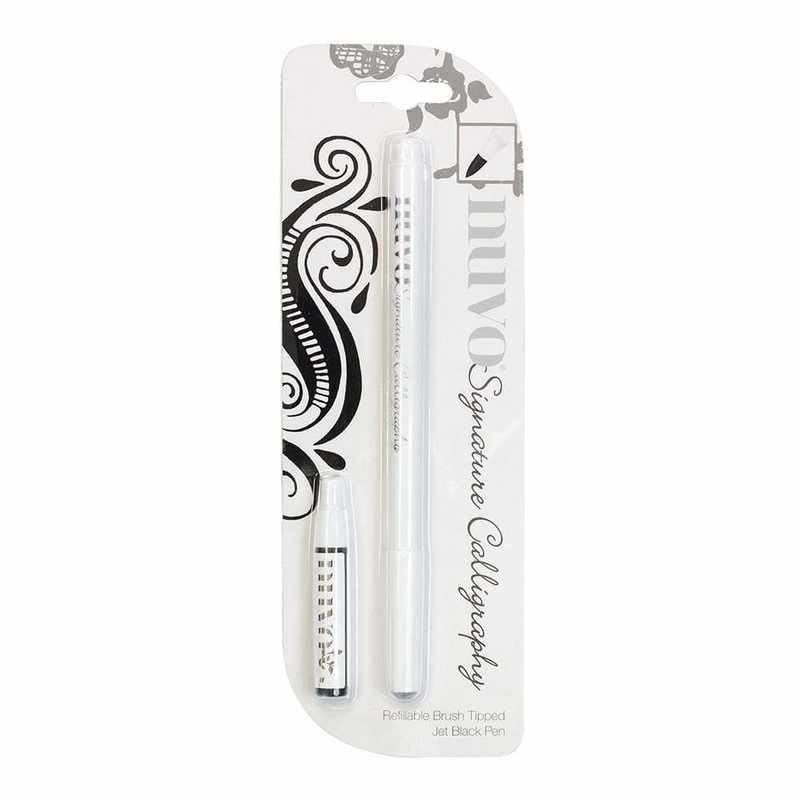 Create perfect calligraphy, sentiments and imagery without the mess with the Nuvo Signature Calligraphy Pen. The soft brush nib glides across the page, giving you lines of various thicknesses in a classic jet black ink. The pen includes an extra refill cartridge to add new life to the pen after use.